President Michael D Higgins has said that to prevent people from speaking their own language is a denial of human rights. 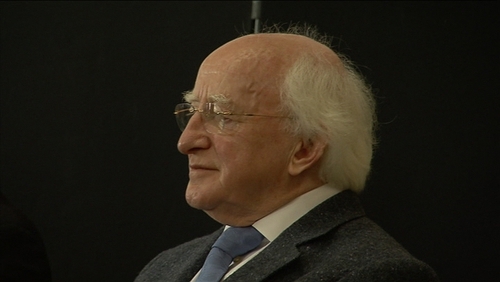 He was speaking to a group of language commissioners at Arás an Uachtaráin. The delegates representing languages under threat in countries around the world are in Dublin to attend the International Conference on Language Rights. The President also said he is trying to encourage people to speak Irish for Bliain Na Gaeilge 2013. He said that the importance of protecting Gaeltacht areas was widely recognised and although this was a matter for government he would do his best to encourage it.